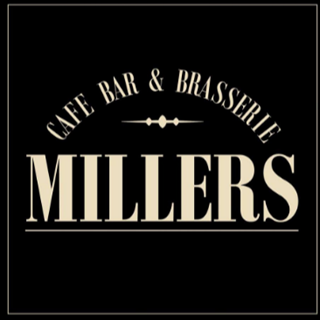 A Friendly Relaxed Café Bar & Restaurant, Offering a Generous menu varying from Breakfast, Snacks, Lunch and main meals all served in a well presented but comfortable setting. Once again first class service and food. Feel drawn to the place like I’ve been before or built it . Lovely place. Nice food. However, after finishing our main meal we were left for around 15 mins before a waiter on his way back from delivering someone else’s meal cleared our plates and asked if we needed anything else. We asked to see the dessert menus which we got however after being left for a further 20 mins with no one coming by to ask about desserts or other drinks, we decided to call it a day and pay up at the bar. It was clearly quite busy but not excessively so, but being left for so long when waitresses were clearly stood having a drink with nothing else to do was unacceptable. Shame really as it is lovely. A little more attention to diners would be nice. Great food and an amazing atmosphere, definitely going back! 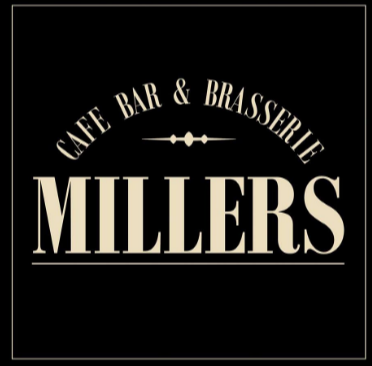 we have been to eat at millers several times and I must say that as soon as you sit your table the staff seem to want your table back as soon as possible,you cant seem to relax and have a couple of drinks after your meal..i know several people who have been for a meal and they are all saying the same.i shall think twice before returning again.i brought my friend for a hen night meal and we were very disappointed as regards the above. We just had a light lunch, sandwich and soup, which were OK. The service was very good, and the dining room is  well decorated, light and airy, creating a good atmosphere. Service was quick but we weren't rushed at all. Lovely food! First time visiting and was not disappointed in the slightest. Excellent food, excellent speed of service and polite and courteous staff will definitely be using again. Food was lovely but couldn’t have a decent conversation without shouting at each other because we had been put on a table right next to the musician and it was very loud. Asked to be moved but nothing came of it. Had a birthday meal, drinks complimentary- nice atmosphere- relaxing and enjoyable environment!! Even though it was a busy service, staff were attentive, the meal arrived promptly and was deliciously cooked.